Damn, that's A LOT of ingredients! 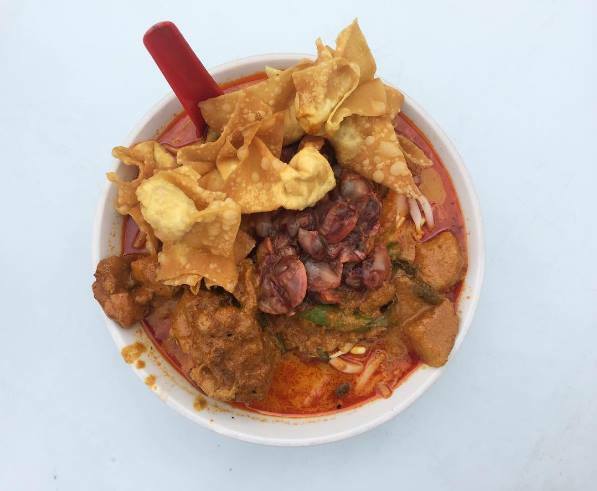 Though it's no stranger to foodies and curry mee enthusiasts in Klang Valley (and even other parts of Malaysia), the supersized curry mee has been making its rounds on social media in the past week, especially among foodie groups on Facebook. 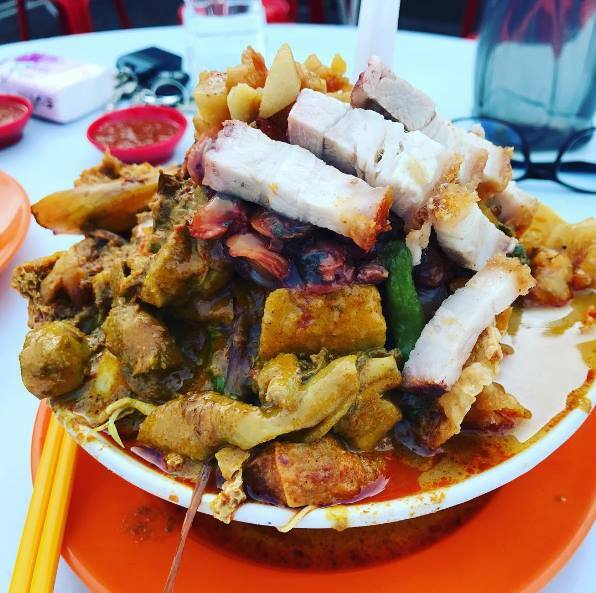 Priced at RM12, a huge bowl of curry mee comes with a generous amount of toppings such as fried wantan, char siu (BBQ pork slices), siew yoke (roast pork), fried pork lard, long beans, tau pok (tofu puff), beansprouts, si ham (cockles), a few pieces of curry chicken, fried fu chuk (beancurd sheets), as well as pork paste of pork balls. 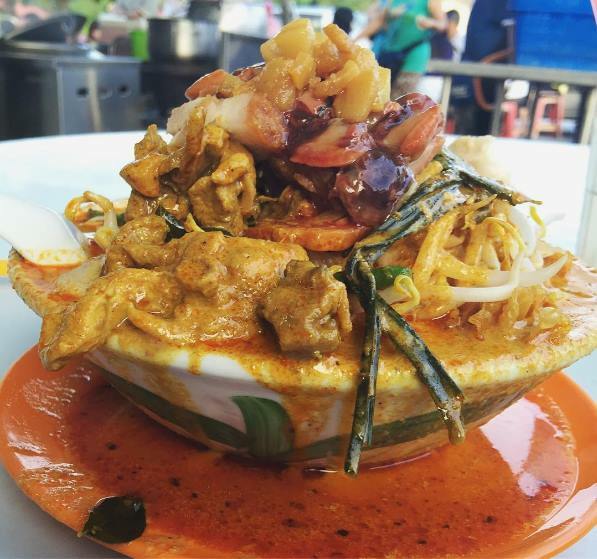 If that's too much for you, you can actually opt for a standard portion, which comes with a reasonable amount of long beans, tau pok, beansprouts, si ham, a piece of chicken, and fu chuk. The stall, which has been around for more than a decade, has somewhat of a legendary status in the area. In fact, people have been known to start queueing up since 5.30am! 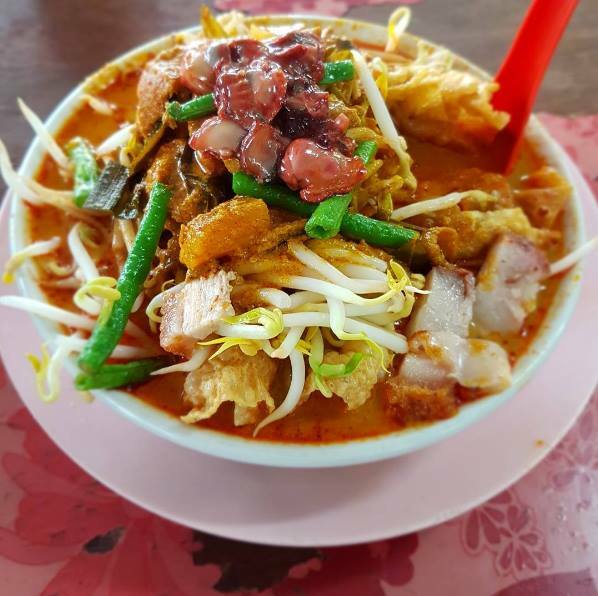 As there are only limited servings per day, customers are required to secure a number, which will be given out and recorded in a booklet when stall owner Jason Chan and his helpers arrive around 6.30am. Even so, you'll still have to wait for at least an hour as the operators prep for the day, cooking the soup base as well as frying up and preparing the numerous ingredients on the spot, before they begin serving. 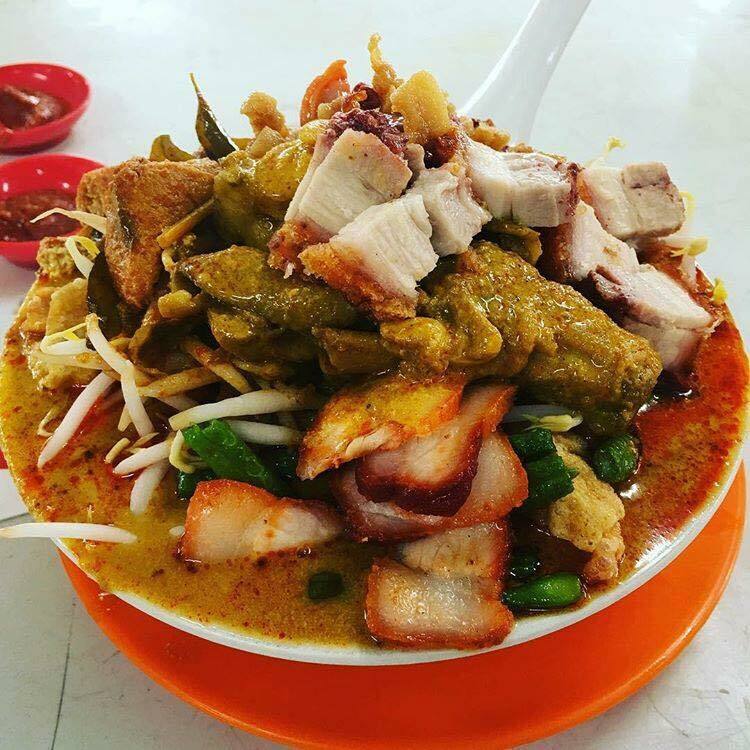 Typically, the first bowl of curry mee will be served sometime after 7.30am. 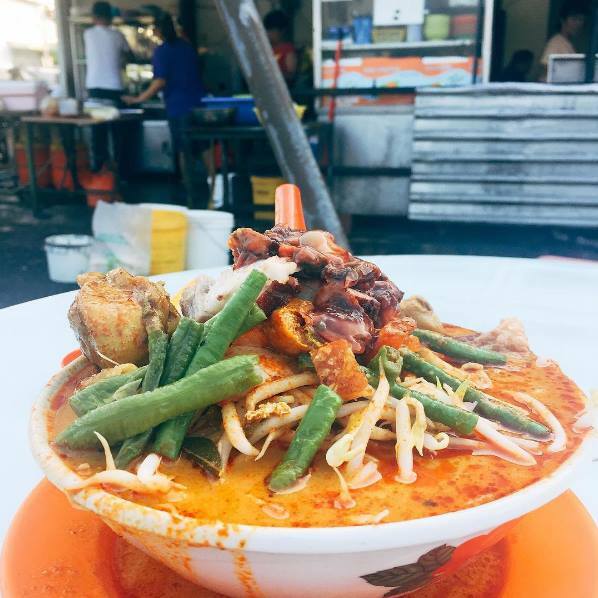 If you arrive after 8am, you might have to come back another day, as there may be no more bowls of curry mee left. 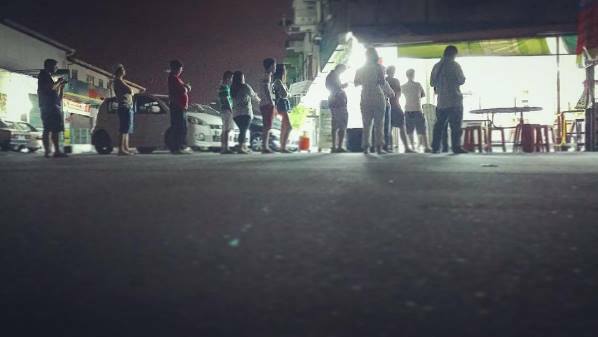 It's also not uncommon to have to wait up to TWO hours for your food to arrive, due to the sheer amount of orders. 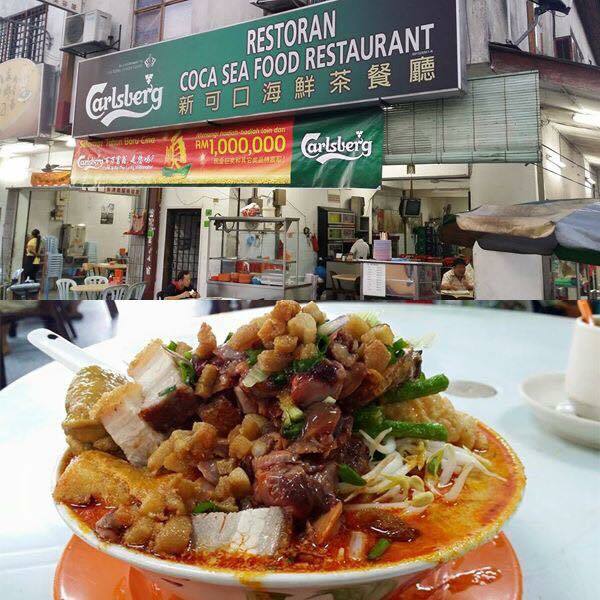 Location: Coca Seafood Restaurant 新可口茶 @ 29 Jalan Bidara 1, Taman Bidara, Selayang, 68100 Batu Caves, Selangor. Business Hours: 6.30am onwards daily. Closed on Wednesday and Thursday every first week of the month. It tastes better over charcoal!